-Top: Mock wrap tunic trimmed with contrast color. Two pockets, side vents and gathered back ties. -Pants: Three pocket cargo pants, straight legs, back elastic, front drawstrings. 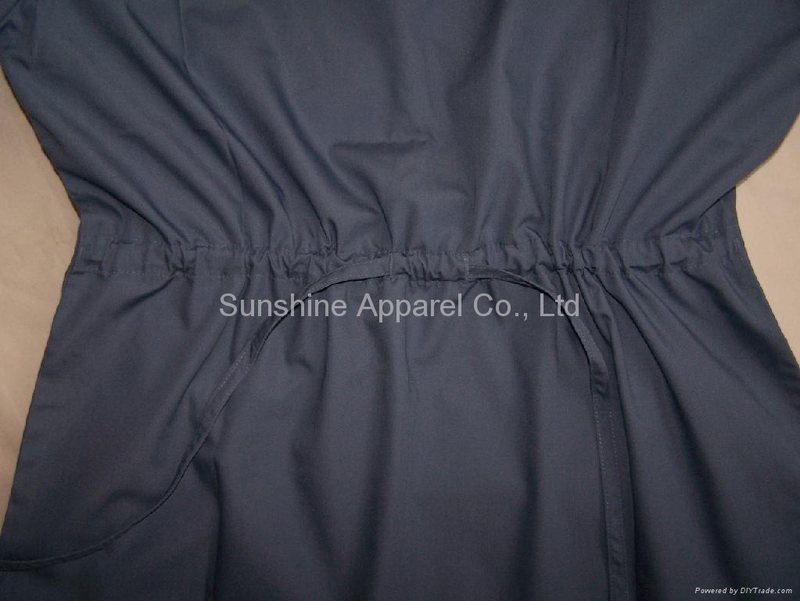 -Fabric: In 65% poly and 35% cotton, 5.6 ozs, 6.2 ozs and 6.5ozs per square meter are available. Crease resistant, brushed or non-brushed. 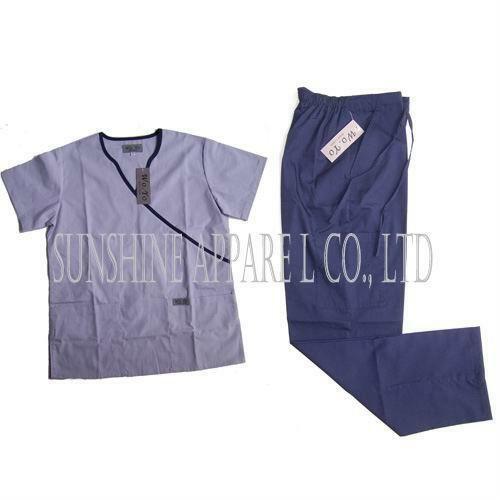 Our company specializes in kinds of medical,hospital nursing uniform scrubs, surgical scrubs,medical jacket , lab coat,smocks, nurse wear, nurse dress,scrub pants and warm up jacket and other medical wear.